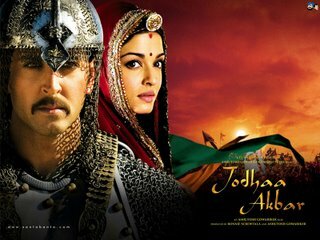 After Lagaan and Swades the winning team of Ashutosh Gowarikar and A. R. Rahman are coming together again for Jodha Akbar, a period film starring Hrithik Roshan and Aishwarya Rai to tell one of the most important tales from Indian history. Will the music make history? A.R. 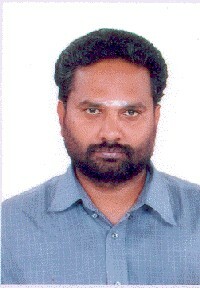 Rahman has surely given it a fine shot. The album opens with Azeem o shaan shehenshaah and one can immediately feel the stamp of the maestro. With trumpets, Nagada and other instruments appropriately set to glorify the great emperor, one is immediately transported to beginning of the Mughal Empire. With the opening words, Azeem o shaan shehanshah Farmaan awaah..hamesha hamesha salaamat rahe the crowds wish the emperor well. A very good mix of classical music, battle drums, tabla, and bass make it an extremely catchy song right from the first listening. The part where you hear the lady vocals or "chan chana chana" is awesome. Mohammed Aslam and Bonny Chakravarti who are relatively new singers have done a phenomenal job. Mere khwabon ke is gulistaan mein, tumsehi tum bahaar chaayi hai ..
And the romance continues with Jashn-E-Bahaara. This is a lilting melody and an instantly appealing song. Javed Ali is at his finest as he sings this beautiful And actually from the song and lyrics, you can feel the eternal love ... pure and fresh. Very rich in melody and a superb song ! Later in this album we also have an instrumental of the same song with Naveen's flute replacing Javed Ali's vocals. ARR Rahman has brilliantly chosen to use different flutes for the different antaras. Simply magical and perhaps has an award in the waiting. Perhaps more situational, Mann Mohana sung by Bela Shende is a fine classical number with good flute musicals. A. R. Rahman is arguably at his best when it comes to Sufi compositions. He croons the next spiritual qawwali number Khwaja mere Khwaja written by Kashif. Throughout the song he does some great rendition moving easily from ultra mild to high pitches. The Oboe takes center stage in this song with the rest of the orchestration providing subtle support. A beautiful spiritual number indeed! On the whole once again a brilliant creation by A R Rahman. 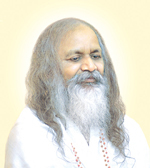 His Holiness Maharishi Mahesh Yogi "is Welcomed With Open Arms Into Heaven"